Answer that question with another question: How could you possibly WIN??? The Beatles themselves were also distinctly unimpressed with the movie. 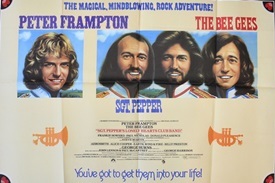 Despite attending the premiere, Paul McCartney and Ringo Starr refused to associate themselves with the film after seeing it. George Harrison and John Lennon wouldn’t even watch it. He was partially correct. Frampton had one final Top 20 hit in 1979, and other than a #74 song in 1986, never hit the Billboard charts again. It was even worse in Frampton’s native Britain. He never again hit the UK charts.